Set in modern-day Washington state, the story follows the journey of three sisters who are divided by decisions made when they were young. 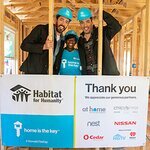 The story’s central character, Cassie, applies for and becomes a Habitat partner homeowner, journeying from sweat equity to house dedication while managing issues of single parenthood, family estrangement and new love. The trio of sisters struggle with life experiences and questions of love and forgiveness as they each work to rebuild their lives and relationships. Macomber and her husband, Wayne, have long attended the annual fundraising event hosted at Indian River Habitat for Humanity in Vero Beach, Florida, and were overwhelmed by the good work of the organization. More than 170 million copies of Macomber’s books are in print worldwide. Her work focuses on compelling relationships that embrace family and enduring friendships. 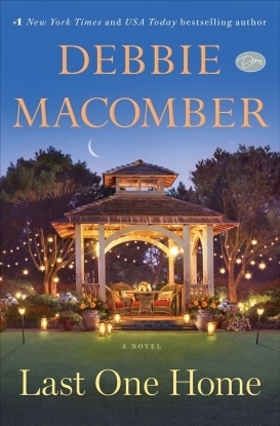 Macomber’s novels have spent more than 750 weeks on The New York Times Best Sellers list. Eight of these novels have hit the No. 1 spot.